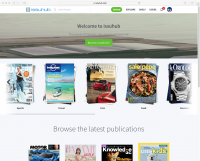 Issuhub is a digital publishing platform for users to upload magazines, catalogs, brochures, etc. Upload your PDF and share it with the world! Issuhub provides an easy way to upload your PDF magazines, catalogs, brochures, ebooks, etc. online and make them public to readers around the world. Readers will get amazing reading experiences on any screen and devices, just like reading real books. View the most popular digital publications uploaded by our users or search for any content you want. Follow the author, download your favarites or share it to your social networks. Issuhub convert your PDF documents to HTML5 and make them SEO friendly. All content can be crawled and indexed by Google. Of course you can also disable this feature if you don’t want your content be googled. 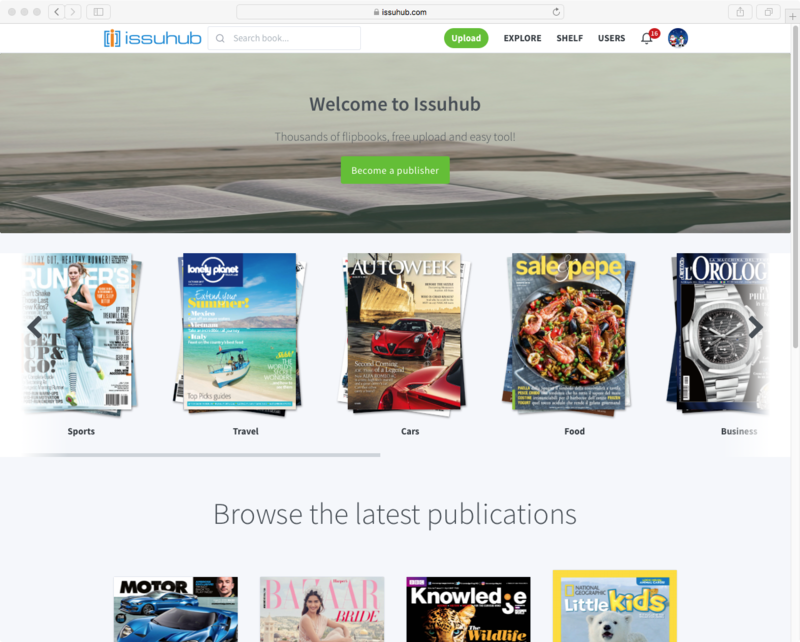 Issuhub allows you to upload 500 publications per month. If you need to upload more, try Pro subscription, which costs $15 per month. But here is a giveaway – you can get 6-month Pro subscription for free.